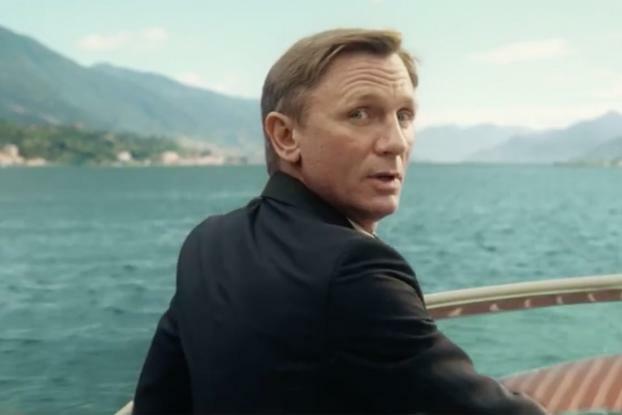 James Bond is back -- in a Heineken ad. The Dutch brew has once again lured the British agent into a TV commercial, or at least the guy playing Mr. Bond in the upcoming "Spectre" movie, actor Daniel Craig. 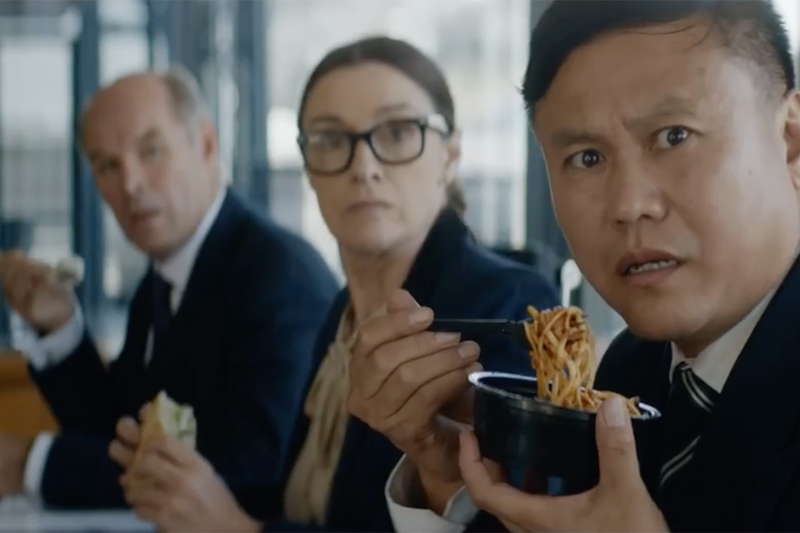 The ad, by Wieden & Kennedy, Amsterdam and directed by MJZ's Tom Kuntz, shows a high-speed boat chase starring Mr. Craig as Mr. Bond and actress Zara Prassinot. She is not in the movie. But there are other subtle references to the Bond franchise in the ad. For instance, one of the characters in the spot during a wedding scene is made to look like Nick Nack, a character in the 1974 Bond film, "The Man with the Golden Gun." But this doesn't necessarily mean Mr. Bond -- who's mostly closely associated with martinis, shaken, not stirred -- is going on a beer-only diet. The movie also has a deal with Belvedere vodka. But for its Bond ad, the Polish vodka brand had to settle for an appearance by Mexican actress Stephanie Sigman, who plays Estrella in the opening scene of the flick. It is also unclear if Belvedere will be featured in the actual film, which debuts in the U.S. on Nov. 6. Heineken, on the other hand, says it is the only "Spectre" marketing partner that has Mr. Craig in an ad tied to the flick. He also appeared in a Heineken ad in advance of 2012's Bond movie, "Skyfall." 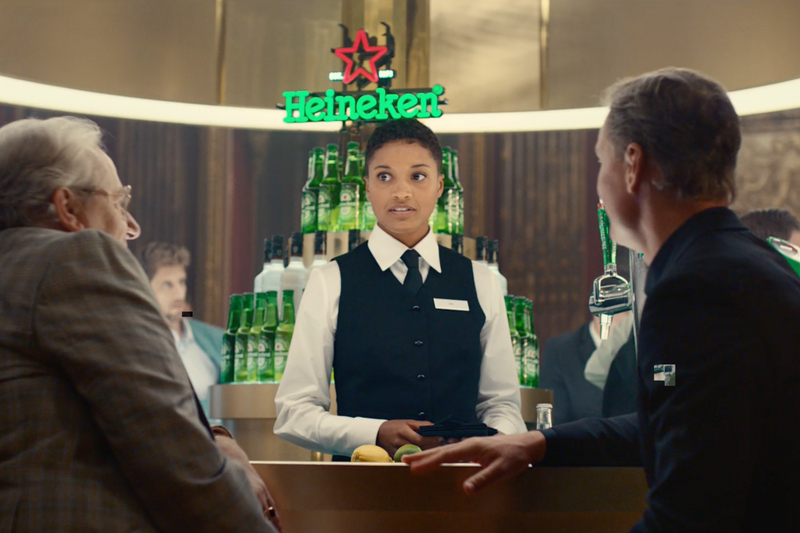 Heineken will also be included in the actual movie, "Spectre," a brand spokesman recently confirmed to Ad Age, although he did not provide specifics. The beer is using its Bond partnership to underpin its "largest global marketing platform of 2015," according to a statement. 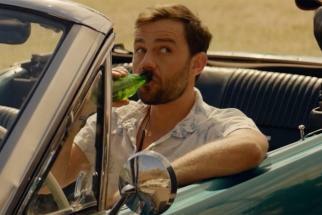 The Heineken spot, called "The Chase," launches Sept. 21 on Facebook, and will be aired on TV and in theaters worldwide 24 hours later, according to Heineken. The TV ad will run in versions that last 30, 60 and 90 seconds, according to a spokesman.